Drawing directly on the workshops of the conference’s final day, the organizing committee crafted the following outcomes statement (also available as a pdf). The statement highlights desirable shifts in or maintenance of certain policy stances. Island communities around the globe are disproportionately confronted by intense pressures of climate change, environmental degradation, biodiversity loss, pollution, and social vulnerabilities linked to the state of the environment. Attention to issues related to the resilience and sustainability of islands and the evidence they convey for integrated environmental management more generally remains profoundly needed despite significant local, national, and international efforts. 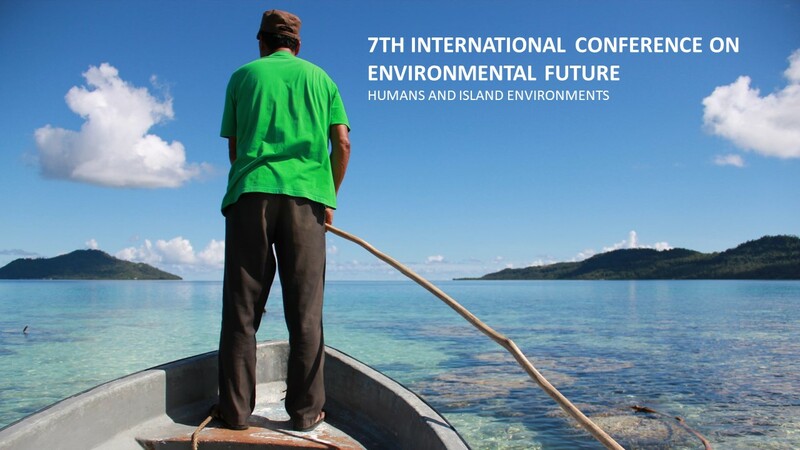 Organized by the Foundation for Environmental Conservation (FEC), East-West Center, the University of Hawaiʻi at Mānoa, University of Hawaiʻi Sea Grant College Program, and the Hawaiʻi Institute of Marine Biology, the 7th International Conference on Environmental Future (7ICEF) sought to advance the global and multi-, trans- and inter-disciplinary conversations around environmental futures with a specific focus on Humans and Island Environments. This forum sought to bring together the broadest range of disciplines to better bridge understanding between the humanities, social sciences, and natural sciences bearing on the future of island environments. The result offered a distinctly coherent picture of what this understanding means for environmental policies and management practices with sensitivity to human and non-human dimensions including a foundational commitment to the role of islander insights, positions and voices. The aim of this document is to summarize the conferences key points and to convey the lessons learned to the wider community outside of the conference including policy makers, environmental managers, and conservation practitioners. The populations, communities, biodiversity, and land and seascapes that constitute island ecosystems have a shared and co-constitutive history. Despite significant past work, advancing the state of knowledge of the dynamics of island ecosystems remains a pressing need. This is especially true for the human dimensions and dynamic linkages to environmental states and futures. Because of their unique environmental, ecological, and social contexts, islands require immediate, sustained, energetic attention at the intersection of policy, multi-disciplinary scientific efforts, and community engagements. This will require enhanced and intensified efforts to establish broad and deep channels of communication between scientific disciplines that do not always speak easily to one another, to governance and policy institutions, and communities across scales. Management actions should be understood as part of a holistic process over time and understood to serve to test hypotheses and accelerate learning, so as to inform research science and advance conservation decision making across the globe towards sustainable island futures. Conservation efforts should support human connections to island ecosystems to grow stewardship for future generations with a specific orientation towards human and environmental wellbeing as the desired future goal state. Endorse the overarching message that islanders are actors and agents, not vulnerable victims of environmental change and that island communities have been, are, and must be central to efforts to conserve, manage, develop and imagine environmental futures globally. Recognize the essential role of island communities across the world’s oceans as central sites of the contemporary world order and critical sentinels of a changing planet, not as remote, small, and distant from the pressing concerns of the day. What happens in and to our island homes happens to the world. Address the significant need to better integrate multidisciplinary information through inter- and trans-disciplinary approaches (e.g., climatic data, ecosystem data, oral histories, archaeology, scientific results, traditional and local knowledges) in order to best identify desired and achievable future conditions. Recognize that islands encompass geophysical, biological, and cultural diversities that are deeply intertwined in a multiplicity of knowledges. Acknowledge and honour the unique relationship of indigenous and local peoples to their islands, natural resources, and traditional practices that foster sustainable use and future-oriented management. Re-emphasize necessary critical contributions of all different knowledge systems, ways of being, and ways of knowing, that sustain island futures. We call upon the scientific, conservation, and island communities and practitioners to build new, symmetrical dialogues, stories, connections, and partnerships involving the diversity of knowledges that are engaged, produced, and developed around the future of these environments. Encourage cross-sector discussion in policy development, implementation and change. Ensure policies are mainstreamed with national development plans. Utilize coordination bodies and establish clear governance mechanisms in national scale planning. Recognize resident peoples and communities as governance and management partners so that voices, rights, and possibilities are not lost. Produce pragmatic laws, policy, protocols and guidance that ensure and enable resident including indigenous rights and interests in natural resource management, island governance, monitoring and planning. Ensure that policy frameworks include realistic, achievable, culturally appropriate and measureable targets and indicators linked to available resources, and develop policy that is sensitive to scale and context. More holistic policy making may require additional work to identify what good governance is or what best practices to use at various scales in marine and terrestrial ecosystem and resource contexts (e.g., one size does not fit all even on the same island). Encourage measures for conservation of priority natural resources such as water that transcend single sectors and ensure that feedback loops are considered. Endorse the goal of ecological conservation and restoration to be the creation and maintenance of future sustainable systems in the face of a rapidly changing and dynamic world. Utilize modern, historical, and ancient datasets that balance the dual functions of ecosystem services and enhancement of biodiversity. Characterize and understand multiple options for island futures, because of contemporary precariousness and future uncertainties. Advocate for values that underlie and inform successful frameworks in the area of island futures, such as reciprocity, inclusivity, respect, relationships, compassion, responsibility, and humility. Place greater emphasis on the need for a broadly conceived biosecurity as a fundamental part of conservation, and conservation as fundamental to biosecurity, to understand potential consequences of human decision making. Strengthened by understanding of issues at different scales, and linkages between scales and domains, we can develop more accurate biosecurity and conservation planning. Work with policy and decision makers to improve understanding and engagement on objectives for land use, marine spatial planning, resource management, and conservation that seek to maximize overall quality of life through integrating planning and actions across the health and environment sectors. Coordinate policy coherence and implementation across governance of natural resources by framing around environmental and human health and wellbeing discourses. Endorse framing policies around island overall quality of human health and well-being platforms to drive such action. Promote problem solving abilities through formal and informal education, peer learning networks and other mechanisms to enable connections for holistic management. Promote peer learning networks for capacity building and knowledge dissemination within regions and across islands globally. Enable the use of citizen science, local knowledge, and appropriate technology linked to actual decision-making in policy formulation, implementation and monitoring. Work with and learn from island socio-ecological frameworks to strengthen human agency and self-determination, and build leadership and political capacity in the next generation of students and local stakeholders. Strengthen capacity on islands by creating spaces for new leaders and intentional communities to manifest and snowball change. Equip the next generation with networks and connections across the world’s islands that enable new leaders to create geographically adaptive solutions. Promote regional cooperation to address present and future transboundary threats through existing regional agreements, design and implementation of regional projects, or directives from regional bodies that define regional priorities. Embrace the cross-cutting principle that there is a need to put in place permanent mechanisms and processes to ensure sustainability of implementation of holistic management, for instance legislated frameworks supporting sustainable financing through endowments, revolving funds and similar mechanisms, or the recent Micronesia Challenge. Establish long-term funding for chronic issues such as water pollution, including the problem of plastics, micro-plastics, and chemicals such as endocrine disruptors. Recognize that funding historically driven by continental priorities may need to be reconceived for island human and environmental contexts. Build capacity and support island universities to describe better how they are facilitating inter-, multi- and trans-disciplinary research, faculty and student cooperation, and institutional exchanges of expertise, energies, and policies with the goal of increasing internal and external awareness of alternate solutions to common problems. Encourage a pragmatic approach to research and equity in decision making and implementation, including increased participation of traditionally underrepresented groups including women, youth, indigenous peoples, practitioners, and non-academics in the island futures conversation. Pull in youth into the conservation conversation, including emerging colleagues and practitioners, and learn from their experience, values, perceptions, toolkits. Facilitate and coordinate the creation of safe spaces for conversation. Compiled and edited by the 7th International Conference on Environmental Future outcomes committee: Nicholas Polunin, Darren Lerner, Ruth Gates, Nancy Lewis, Alexander Mawyer, Maya Walton, and Jason Flower. The 7ICEF Organising Committee extends its deepest thanks to the partners who made this gathering possible especially the Foundation for Environmental Conservation and also the University of Hawai‘i at Mānoa, University of Hawai‘i Sea Grant College Program, The East-West Center, Hawai‘i Institute of Marine Biology, Center for Pacific Islands Studies, Newcastle University Institute for Sustainability, Pacific Islands Climate Adaptation Science Center, Pacific Science Association, Water Resources Research Center, and Pacific RISA. The 7ICEF is particularly thankful for the work of the executive organizers Nicholas Polunin, Darren Lerner, Ruth Gates and Nancy Lewis and for local organizing committee Alexander Mawyer, Maya Walton, Jason Flower, June Kuramoto, Catherine Pirkle, Victoria Keener, Jerry Finin, and Laura Brewington, Heather Dudock, Cindy Knapman, and student volunteers Rachel Dacks, Shreya Yadev, Beth Lenz, Emanuela Borgnino, Patrick Nichols, Kelsi Howard, Margaret Ransdell-Green, Leah Pappas, Mariana Souza, Paula Moehlenkamp, Kanoelani Steward, Kanoe‘ulalani Morishige, Genelle Watkins, Amy Markel, Gavin Lamb, Ponipate Rokolekutu, and Katy Hintzen. The 7ICEF is also very grateful to the keynote speakers in the plenary events including Kealoha Kinney, Eleanor Sterling, Tarcisius Kabutaulaka, ‘Aulani Wilhelm, Supin Wongbusarakum, Randy Thaman, Kiana Frank, Laurie Brinklow, Glen Thodé, Gudrun Petursdottir, and William Kostka, as well as to colleagues who served as discussants for sessions across the week. The 7ICEF also thanks the participants in the Friday, April 20th policy workshops whose insights contributed directly to this statement of policy need, including: Nick Polunin, Cilla Wehi, Rocky Tirona, Rosalina Gabriel, Seth Quintus, Todd Braje, Colette Wabnitz, Maya Walton, Winifereti Nainoca, Margot Parkes, Isoa Korovwavula, Carolyn Polunin, Rachel Turner, Leonard Nurse, Aaron Jenkins, Kerry Arabena, Leah Bremer, Nancy Lewis, Colette Wabnitz, Kelsi Howard, Jim Randall, Nicole T. Garofano, Kelley Anderson Tagarino, Laura Brewington, Gudrun Petursdottir, Catherine Sabinot, Rosemary Lyster, Rosie Alegado, Raphaël Billé, Kiana Frank. Alexander Mawyer, Ruth Davis, Annette Breckwoldt, Mia Iwane, Jerry Jacka, Pete Schuhmann, Kirsten Oleson, Kathryn Mengerink, Glenn Thodé, Lara Taylor, Manaaki, Francielle Lacle, Reniel Cabral, Tara Pelembe, Masanori Kobayashi, Jean-Baptiste Marre, Sylvia Frain, Randy Thaman, Konai Thaman, Tamara Ticktin, Matt Lauer, Edvard Hviding,, Laurie Brinklow, Roy Ellen, Elaine Stratford, Chai Blair-Stahn, Mahuru Wilcox, Garry W. Trompf, Vilsoni Hereniko, Matthew Bond, Rachel Dacks, Margaret Ransdell-Green, Stacy Jupiter, Arthur Dahl, Willy Kostka, Konstantinos Stamoulis, Jade Delevaux, Chris Corbin, Jenn Caselle, Michelle Scobie, Jason Flower. Finally, the 7ICEF extends its most sincere thanks to all of the scientists, practitioners, policy makers, and students who shared their ongoing research, work with communities, and commitments to communities, conservation and management of island environments.